Gutters are the unsung heroes of your home. When they’re properly functioning, they go a long way towards protecting your house against rain. And with proper maintenance, gutters can last for many years, but certainly not forever. Here are five warning signs that it may be time for you to replace yours. While small cracks in your gutters may not seem like a big issue, they will eventually turn into one. If you don’t fix the cracks right away, they can end up damaging the fascia boards behind the gutters, the shingles above the gutter, and the foundation below. The paint on your gutter is designed to last throughout the seasons. Unless your gutters are extremely old, peeling paint is an indicator that water is present, which could be a result of cracks or other damage to your gutter. Do you notice pools of water or mildew near your home’s foundation? This could be caused by something as simple as a clog or by something as complex as a defect in the gutter system. Water marks underneath the gutter indicate that leaking or overflowing water is escaping the gutter. This type of water intrusion can damage your soffit and fascia board. 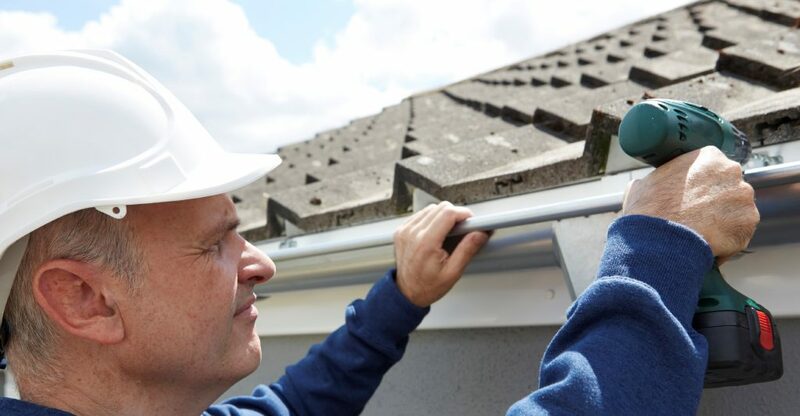 This is one of the easiest ways to tell if you need gutter repair or replacement. Gutters should never sag or pull away from the house. This can indicate that the gutters are full of water and can no longer withstand the weight. If you’re in Fairfield County CT or the surrounding areas, contact Landmark Exteriors. Whether you need a maintenance plan, ice dam prevention, or just a last minute gutter replacement, our team has you covered! To speak with one of our professional staff members, give us a call at 203.838.3838. 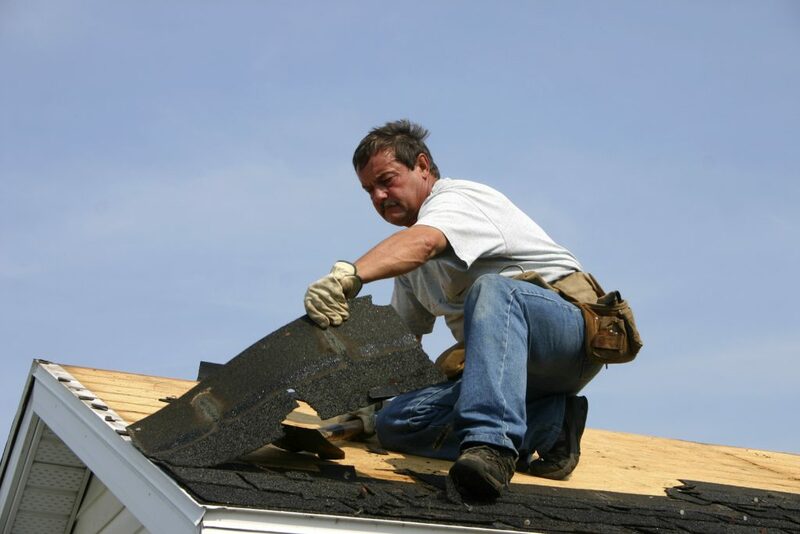 For two decades, we’ve been helping our clients with all their roofing, siding, and home services and repairs. In an industry where many roofers are in business today and out of business tomorrow, it’s unusual to find a company with our experience and proven record of quality and reliability. From slate to cedar, small to big, we’ve done it all. View our recent roofing work to get an idea of the expert experience we hold. With Landmark Exteriors, our clients receive custom craftsmanship, quality materials, and a roof that lasts. This means no costly repairs or roof replacements in your future! Our commitment to quality means we’ll do it right the first time. Landmark Exteriors was built on the premise that every client deserves high-quality products, precise workmanship, and exceptional design solutions. 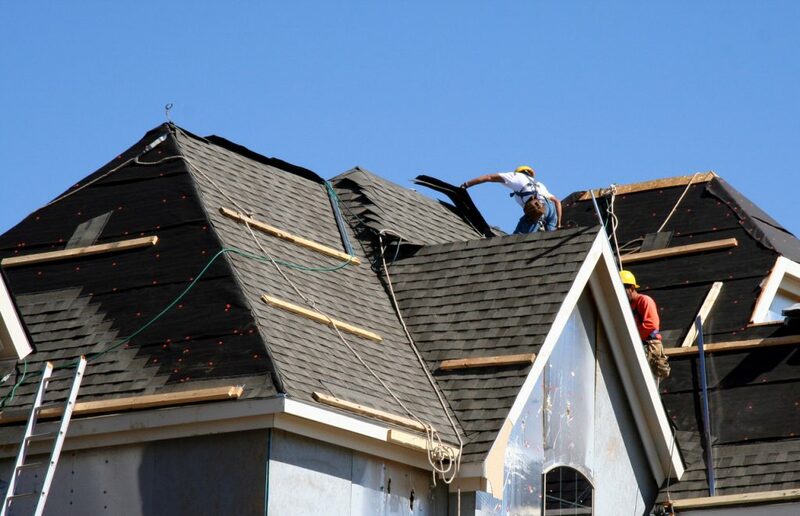 As such, Landmark Exteriors doesn’t outsource its work to subcontractors, but instead hires, trains, and coaches its employees to become skilled in the craft of roof building. Author adminPosted on February 16, 2017 November 21, 2017 Categories UncategorizedLeave a comment on Why Choose Landmark Exteriors? What Color Should Your Roof Be? When it comes to your roof, every decision is a big deal – you’re most likely going to be living with it for the next 20 to 30 years – no pressure! And with all the different materials, shades, and colors to choose from, it can become a very daunting process. Here are a few things to consider to help you make your decision a little easier. Decide on dark or light. Although there are many colors to pick from, first you should decide between dark or light. Some people think dark colors are more likely to have heat retention. While this may be true with black shingles, there is no difference between any other dark color. Pick roofing based on your siding. Keep in mind, the paint on your shutters, doors, and siding can always be changed, however bricks are permanent. Add dimension. Although you want your roof color to match the rest of your homes exteriors, you also don’t want it to be an exact color match. Choose a hue that compliments your homes exteriors instead. View roofing materials in different lighting. Before making a final decision, compare you color choices in the sun, the shade, during the day, and at night. This will help you make sure the color matches your taste no matter the time of day. Consider the resale value. If you’re thinking about selling your house within the next few years, try to pick a roof color to appeal to the masses. This will make your home easier to sell. Reflect your personal taste. In the end, the biggest factor that matters is your own personal style and taste. Make a list of colors and materials you are drawn to and which ones you want to avoid before picking out your samples. Author adminPosted on February 11, 2017 November 21, 2017 Categories UncategorizedLeave a comment on What Color Should Your Roof Be? Cedar siding is an attractive and practical option for your home’s exterior. But when you’re in the market for new cedar siding, the amount of options you have may leave you overwhelmed. The best way to start your new endeavor is to familiarize yourself with this material so you can make the best decision for your home. Both red and white cedar are used for siding materials. Red cedar siding is usually more durable and comes in a variety of styles. White cedar siding only comes in one style and because of its light color and weathered look, it’s often used in coastal areas. Red and white cedar siding is available in different grades, which will affect the overall look of your home’s exterior. There are clear grades, which have a fine, smooth appearance. There is also knotty grades, with shows knots and other growth characteristics, giving the siding a more rough and textured look. There is typically two finishing options – a semitransparent or a solid finish. A semi-transparent finish allows the natural color and texture of cedar to show through. Solid finishes stains the cedar and alters its natural color. 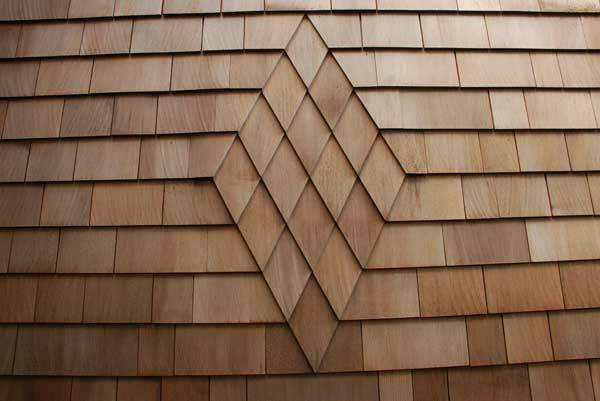 When working with white cedar siding, there’s only one style available – shingles, which offers a more tailored look. Red cedar siding is not only available as shingles and shakes, but also in a variety of clapboard options as well. Whether you need siding repairs or replacement, Landmark Exteriors is here to help! If you’re looking to preserve the health and beauty of your homes cedar, call Cedar-Life, a division of Landmark Exteriors. We clean and preserve cedar, delaying the harmful effects of sun, rain, and snow. If your cedar has already been damaged, we can help restore and rejuvenate it’s natural beauty. We leave our customers 100% satisfied, without exception. To speak with on one of our professional staff members more about Cedar Life, give us a call at 203.838.3838.